I don’t know what your yard is like during the winter months but the yard surrounding the basilica is generally pretty bleak. Not only are there no leaves on the tree – I said tree – there’s only one – but also there’s no sign of a flower, no sign of a bud. Many people associate Lent with the cold and gloom of winter when, in fact, the very word Lent has to do with springtime, with new beginnings, new life, newness in our spiritual lives. Somewhere in the midst of our Lenten penance, spiritual crocuses and forsythia should be sprouting up in our souls. In fact, the season of Lent reminds us of nature’s capacity to renew itself just as we seek renewal in the Church, in our families, and indeed in ourselves, in the depth of our hearts. But unlike nature whose powers of renewal seem to be innate and automatic, we human beings find renewal something very difficult. St. Paul in his letter to the Ephesians prays that our inmost being would be renewed. We know from experience that such inner renewal is neither innate nor automatic. Renewal cannot proceed except in and through God’s grace and even then it seems to take an awful lot of effort on our part and seems to proceed haltingly . . . Think for just a moment of how easy it is to abandon our Lenten resolutions, the penances we had so earnestly mapped out for ourselves on Ash Wednesday. And it’s only Thursday of the Second Week of Lent! We rightfully hunger and thirst for renewal in our beloved Church which has been beset yet again by the scandal of sexual abuse on the part of clergy and other ministers of the Church, and perhaps even more so by the failure of many, including bishops, to deal honestly, openly, and responsibly with allegations of sexual abuse that have been brought to their attention through the years. The rule of thumb often associated with politics also applies to bishops and others in public life, namely, “the cover up is always worse than the crime.” This is not to underestimate the heinousness of sexual abuse which is a repugnant sin, an intractable sickness, and a crime. It does mean that not dealing openly and responsibly with sexual abuse allowed it to fester and to harm many more victims than otherwise would have been the case. Thus, voices across the spectrum rightfully demand two things of the Church: transparency and accountability, and what is meant by these two words? Transparency signals a complete openness about any and all instances of sexual abuse, an openness that extends to law enforcement, the Catholic faithful, the general public, the media, and most of all, the victim survivors. Accountability means that those who perpetrated such crimes must be held responsible for what they have done. Law enforcement should prosecute those crimes whenever possible and the Church should promptly report and remove from ministry, employment, or volunteer service anyone and everyone credibly accused of harming a child. 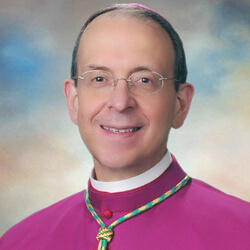 Accountability also means that anyone in authority – whether a bishop or a religious superior or other church official – who fails to report to law enforcement allegations of child sexual abuse must be held responsible by both civil and church authorities, even to the point of being asked to step down from their office. In the recent summit in Rome, Pope Francis and an array of speakers spoke often both of transparency and accountability as essential to the Church’s reform and while no comprehensive framework was voted on at the summit, it is clear that every country, including ours, is responsible for strengthening existing measures or enacting new ones that will exact both transparency and accountability on the part of church leadership and indeed on the part of all who in any way minister in the name and under the aegis of the Church. When the U.S. bishops meet in Baltimore this June, I am confident that we will indeed vote on measures by which we bishops will be held to high standards of transparency and accountability and would note that, in the meantime, we did not wait to do this here in the Archdiocese of Baltimore, as we have already put into place such measures to accomplish this very important goal. This evening, though, I would like to suggest that “transparency” and “accountability” are more than by-words, catchphrases, for the kind of institutional reform that is so necessary in the life of the Church. Rather, these two words also indicate something very important about the renewal that we are seeking for ourselves – a renewal we are challenged to seek with intensity during the season of Lent and indeed throughout our lives, for we are continually being called to holiness. I would even say that a kind of spirituality attends both words and it is that which, for the next few minutes I’d like to discuss with you. When it comes to things like finances and sexual offences on the part of those who serve us in the Church and in public life we rightfully demand a high degree of openness. Yet, decisions about what to reveal and when to do so are not always easy. There are always more things to consider than meet the eye. For example, will such revelations cause collateral damage to innocent people? Should the lives of coworkers be ruined if the evidence is not clear and compelling? Let’s also face it, none of us likes to be publicly embarrassed and none of us likes it when the concerns we represent or manage are embarrassed. This is true whether we are talking about a university board, a sports organization, an airplane manufacturer or a church, including our church. Transparency seems to be such a simple thing but often requires a series of prudential judgments that may or may not stand up to the test of time. In our own personal lives we would like to think that transparency is easier. But Scripture confirms what experience teaches: “More tortuous than anything is the human heart, beyond remedy, who can understand it?” “I the LORD search the heart and examine the mind to reward each person according to their conduct, according to what their deeds deserve” (Jeremiah 17: 9-10). The word “tortuous” is a good description of our complicated selves. Our minds and hearts are winding, serpentine, labyrinthine affairs. If you or I should want proof of what Scripture says, we have only to think about the hidden motives that lie behind what we say to others or the decisions that we reach, both big and small. Sometimes we can do what is ostensibly the right thing but we can do it for the wrong reason. For example, we may expose wrongdoing in one’s place of work but do so to settle an old score with a co-worker of whom we’re jealous. Before we speak at a board meeting or in a social setting, think of the rapid calculations we may go through in weighing the advisability of what we want to say, such as: Will I offend the boss? Will this cost me standing with my peers? Will my statement give me the edge over a rival or cast me in a poor light? Am I better off keeping my mouth shut? Am I giving out too much information? When the stakes are high, we tend to be pretty strategic about what we reveal. It turns out that transparency is not as easy as it looks. And we can say to ourselves, well, I might be a bit cagy in public but at least I am honest with myself . . . or are we? Actually, nothing is easier than self-deception. This will sound a bit strange but sometimes we hide our sins from ourselves. In Psalm 19 verse 2 we read these words: “Who can discern his own errors? Cleanse me of my hidden faults.” That Psalm goes on to pray that we not be ruled by presumption. How easy it is to judge the sins of others and to minimize our own. That is why in the Gospels Jesus tells us to remove the plank from our own eye so that we will see clearly enough to remove the splinter in our neighbor’s eye. This is also why Scripture teaches us that the Lord judges the heart, not merely the appearances, the outer shell we tend to create around ourselves. And so it would seem that transparency even at a deeply personal level is not easy and requires prayer, discernment, and the light of the Holy Spirit shone into the remote crevices of our tortuous hearts. Thus the importance of the daily examination of conscience. This is more than taking a flying trip through the Ten Commandments – congratulating ourselves, let us say, for not cursing or killing anyone or the like. Rather, the examination of conscience is something that we do in the presence of God, coram Deo, in which we first ask the Lord to give us a clean heart, a pure heart, a transparent heart. It requires that we examine the events of the day, including our motives & feelings, not only in the light of the Ten Commandments – they remain the gold standard – but also in light of the Beatitudes by which we examine the quality of our love or our lack of thereof in the many situations we confront in the course of any given day. And here is what the saints teach us from time immemorial: the holier we are, the more we share in the holiness of God’s self-giving love, the more aware we are of our faults, our failings, our sins, our hidden motives; the more repentant we are of our sins, the more penitential is our spirituality. This is not something morbid but rather something liberating. It is a continual cleansing of our illusions remembering that in the light of God’s heavenly Triune Presence there will be no room for illusions. The hour grows late so I had better pick up my pace! So let us spend a little time reflecting on the spirituality of accountability. Transparency logically leads to the admission of one’s faults and failings and to taking of responsibility for what one has done or failed to do. In other words, transparency leads to accountability. 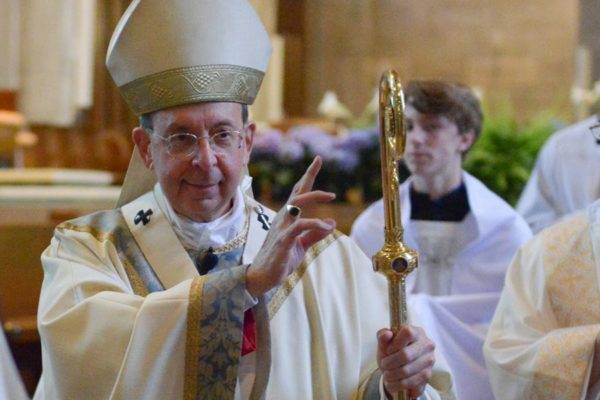 Thus, dioceses are releasing the names of bishops and priests who have committed offenses against children and young people, just as the Archdiocese of Baltimore did some 17 years ago in the earliest months of the scandal. It is a moment when dioceses hold themselves responsible for what was done by engaging in a public confession of its sins. Increasingly bishops are rightly being held publicly accountable not only for what they did but for what they failed to do. Sadly, some dioceses and some church leaders resist taking responsibility for their misdeeds or try to deflect it or rationalize it. And we are rightly dismayed and scandalized by this. Our dismay and scandal should prompt us to a self-examination. For if you and I look deeply into our hearts, we find that we do not like to admit our own faults and failings and we also find that we do not like to be held responsible for them. In fact, as the Venerable Fulton J. Sheen pointed out years ago on his TV program, Satan’s most potent temptation is not greed or lust but rather the very thought that sin, if it exists, is rare and harmless and that somehow we won’t be held accountable. Again, the Psalm admonishes us, “From presumption restrain your servant.” We tell ourselves that our sins really aren’t all that bad, that God doesn’t really care if I do this or that, and that in any case his love is unconditional and that must mean that he will just overlook them whether or not I take responsibility for my sins and repent of them and change my ways. St. Paul clears up that illusion pretty quickly when he writes: “. . . we will all stand before the judgment seat of God. For it is written, ‘As I live, says the Lord, every knee shall bend before me, and every tongue shall give praise to God. So, then, each of us shall give an account of himself to God” (Rom. 14:12). Scripture and the history of the Church and perhaps our personal histories are replete with stories of fudging the truth, passing the buck, minimizing the offense, blaming circumstances or the zeitgeist, and the like. Yet just as when a diocese takes responsibility by releasing the names of offenders, so too we take responsibility for what we have done or failed to do when we make an unburdening confession of our sins in the Sacrament of Reconciliation coupled with sincere contrition for our sins. This is the moment when we take responsibility, ownership of our sins, and this is the moment when we hold ourselves accountable before the judgment seat of God. And you might say that you are being asked to confess your sins to another fallible human being and recent history has shown that the one to whom you are confessing is utterly unworthy to be a priest. Is this really the judgment seat of God? I can only speak from my own experience both as a confessor and as a penitent. As a confessor, I am humbled when others come to confess their sins. They are confessing their sins to me, fallible and sinful as I am, and in spite of my unworthiness Christ is acting in and through me to administer his judgment of mercy and forgiveness. Before a priest hears confessions, he should go to confession himself and he should also pray that he will be the Lord’s humble servant, indeed, a steward and instrument of his merciful love. As a penitent, I am just grateful that there is someone who can act in the Lord’s Name and Person to help me be responsible for my sins, to lead me to genuine contrition and to a full unburdening of my sins, and then to cleanse my inmost self in the power of the Holy Spirit. Accountability is ultimately the path to spiritual freedom both for the Church at large and for the individual soul. Some have described the protracted crisis in the Church as ‘a long Lent’ and that description is accurate if you regard Lent not as a season of gloom but rather as that graced season of God’s purifying love in which we come to terms with our sins, repent of them, confess them, and find in the Lord healing and renewal. So too we look to this time of crisis in the Church’s life as a time of profound personal purification and renewal, marked by the same mainstays in our own spiritual lives – transparency and accountability both of which become possible not because of our good will but rather because of God’s mercy and love. May this Lent be a time of genuine renewal for each of us and for the Church we love so much and may God bless us and keep us always in his love!